2.4.16 ~ Post-CNN interview with my girlies! Soooo incredibly grateful to be able to help raise POSITIVE awareness for Microcephaly simply by sharing all that our daughters mean to me. How did I ever get so lucky to be their Mommy?!? Below are links to various radio interviews, online articles, & television interviews about our family. I post these not to brag but instead to share our journey, let others hear our girls' story, and to keep everything in one place so my family and friends are able to follow Claire & Lola's media frenzy. Big love to everyone for all the kind words & shout outs during this crazy time! BBC Radio 5 Live with Phil Williams -- My part of the interview begins at 48:08 and ends around 53:45. KCUR Up To Date with Steve Kraske -- Begin at 24:04 for Segment 2, our interview. 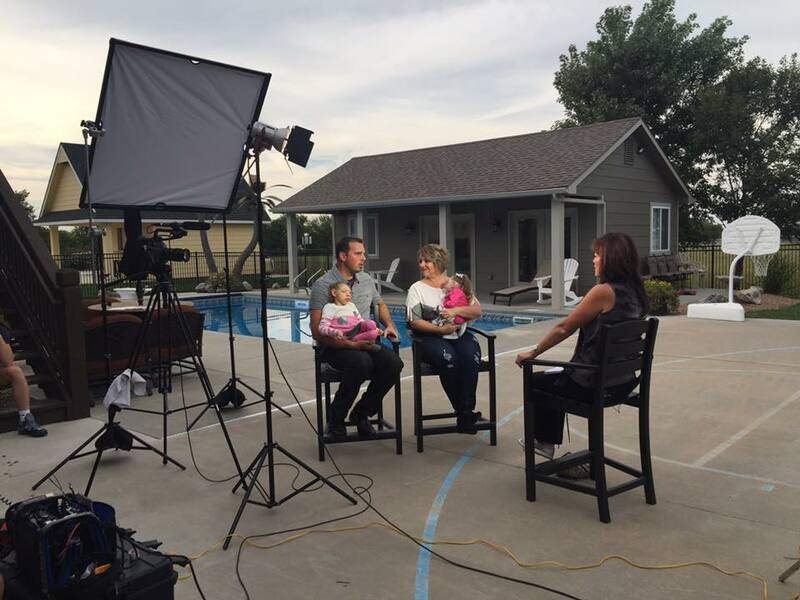 A huge thanks to Juju, Michelle, the audio/film crew, & Nightline for the beautiful story on our family!